HI5 takes you to the top! This fuel is blended from different components containing outstanding energy content. The Hi5 is dedicated for turbo charged engines mainly optimized for R5 category cars. 1. 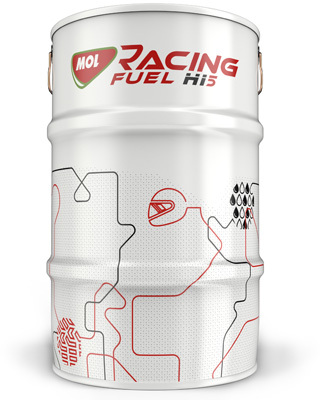 MOL Racing Fuel HI5 ensures high octane and a high oxygen level at a favourable price for a long time in a steady supply. 2. As an added feature, you'll get Hungary's most formidable know-how in fuel development and production with your racing fuel purchase. 3. You should note that this fuel is free of ethanol and methanol, therefore it does not damage plastic parts or gaskets.